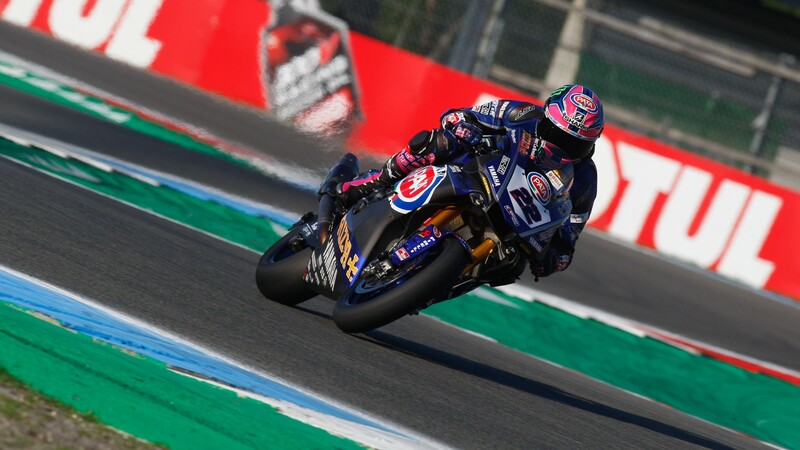 All the eyes were on his teammate during the run up to the weekend, but it was Alex Lowes (Pata Yamaha Official WorldSBK Team) who shone the brightest early on Saturday, taking his first Tissot Superpole after five years in the MOTUL FIM Superbike World Championship. Lowes is the fourth rider to head the Superpole 2 in four races this season, and Yamaha the third manufacturer following Superpoles by KRT and Ducati. 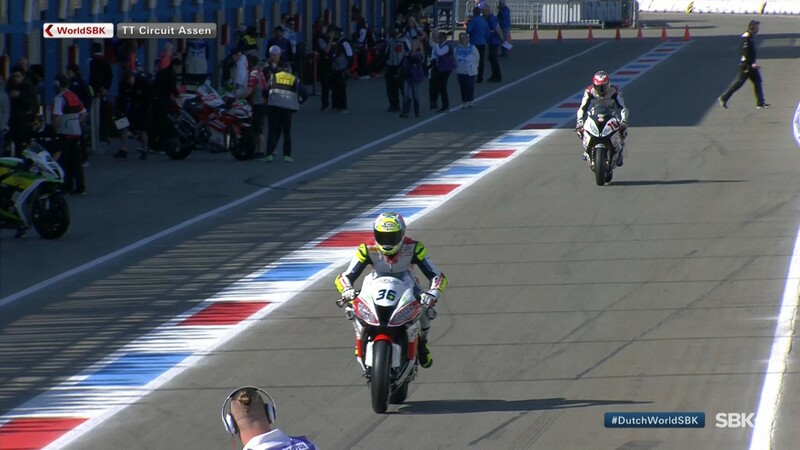 In fact, the first four starting places for today’s race were taken by four different bikes. 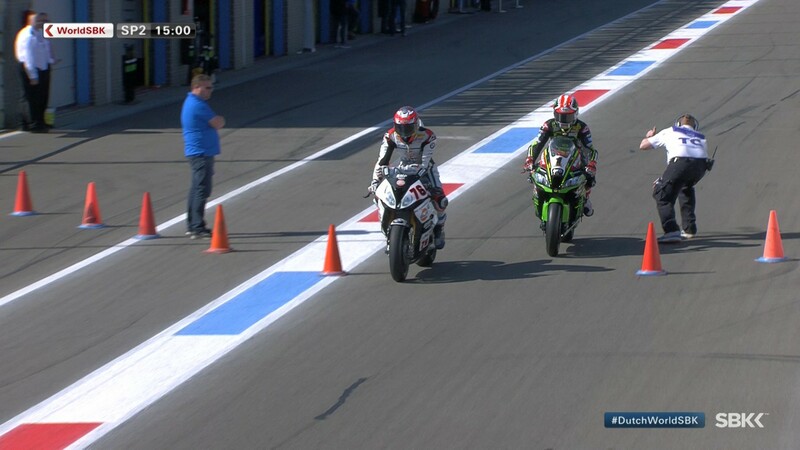 The Brit made his move just before the checkered flag, flying ahead of Jonathan Rea (Kawasaki Racing Team WorldSBK). Rea had led most of the session, but just as yesterday he lost the best Free Practice time to a Yamaha in the dying minutes, today he was unable to battle back first place from Lowes and will start just behind, in a British one-two. Completing the front row, Xavi Fores (Barni Racing Team) came back from a quiet Friday with the third best lap in the Superpole. The Spaniard will be in an optimal place to come back from his disappointing Race 2 at MotorLand Aragon, and is again the best independent rider on the grid. Heading the second row and recording his best qualifying of the season, Lorenzo Savadori (Milwaukee Aprilia) finished the session fourth, showing that his pace on Friday was no fluke. 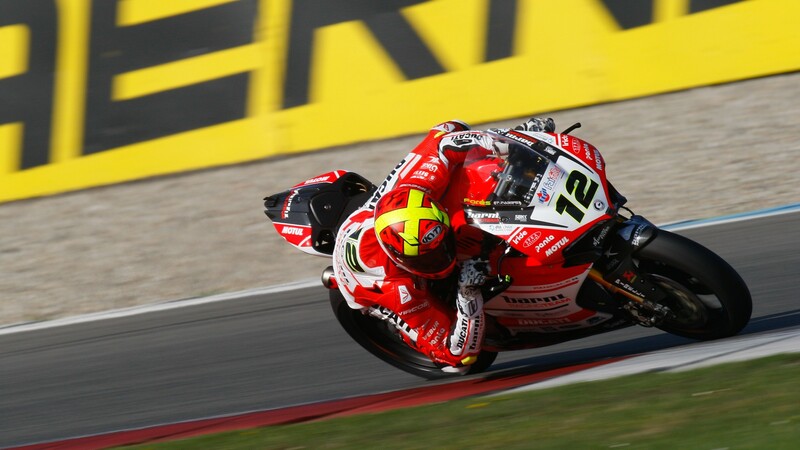 He is followed on the Race 1 grid by Marco Melandri (Aruba.it Racing – Ducati) in fifth and Tom Sykes (Kawasaki Racing Team WorldSBK), still one result away from the total Superpole record, in sixth. 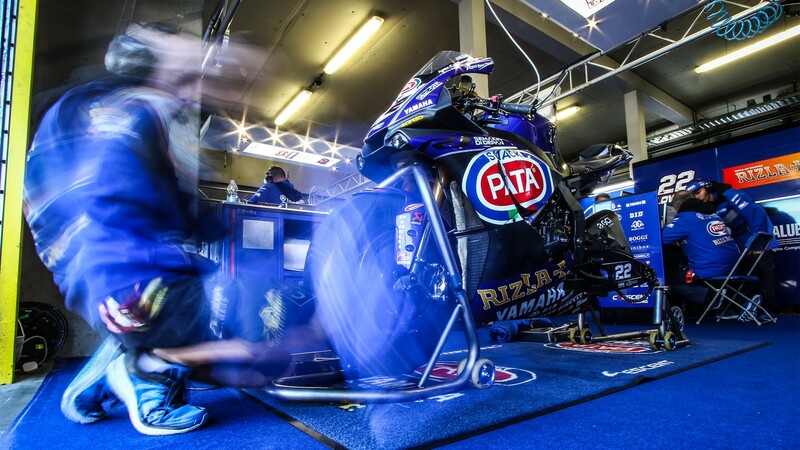 Michael van der Mark (Pata Yamaha Official WorldSBK Team) was head and shoulders above the field in yesterday’s FP3, but the Dutchman couldn’t return to the top in today’s Superpole, and will have to battle from seventh for a win in front of his home crowd. Behind him, Chaz Davies (Aruba.it Racing – Ducati) couldn’t seem to get over the issues that had him struggling yesterday and will have to start from eighth. In ninth, Jordi Torres (MV Agusta Reparto Corse) completes the third row. 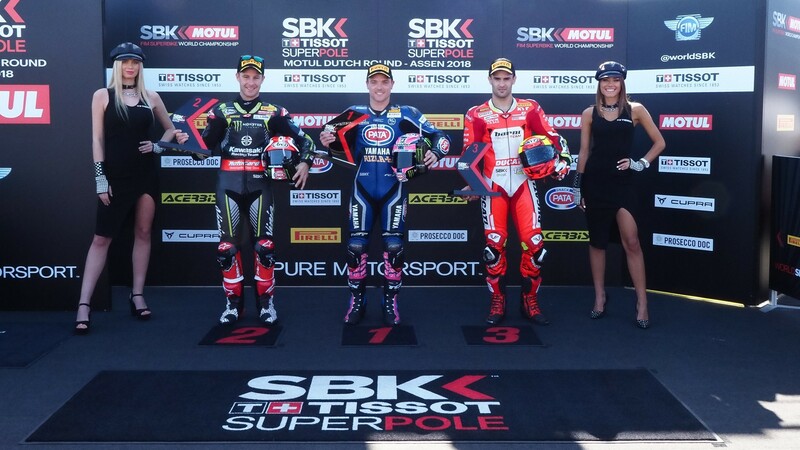 Loris Baz (GULF Althea BMW Racing Team) and Toprak Razgatliuglu (Kawasaki Puccetti Racing), qualifying from the Superpole 1, will head row 4, ahead of Michael Ruben Rinaldi (Aruba.it Racing – Ducati) who couldn’t replicate yesterday’s pace and will start in twelfth position. 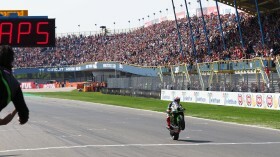 Don’t move too far, because an unmissable Race 1 starts in little over an hour at TT Circuit Assen! Lights are out at 13:00 (11:00), and you can catch it live, with all the post-race reactions and more, thanks to the WorldSBK VideoPass.